What is the best dog for kids? This is a common question, but there is no single answer. In theory, almost any dog has the potential to get along great with children. One can speculate about which dog breeds are best for kids, but you just never know how each individual dog will turn out. There are many factors that affect a dog’s ability to get along well with children. Here are several things that you will need to keep in mind before you get a family dog. Obedience training is absolutely essential for any dog you bring into your home. Make sure someone in the home can spend a lot of time training the new dog, especially if it is a puppy. If a child wishes to participate in training, it should be done under the supervision of an adult. In addition, the children in the household will need to be taught how to conduct themselves around dogs. Think about the ages and activity levels of your children. Toddlers can be knocked over by an awkward, gangly puppy who does not know his own size. Bigger kids could crush a small dog if they are not always careful. You may wish to consider getting an adult dog that has been around children; a puppy needs a lot of extra attention. Labrador Retriever or Golden Retriever: These breeds are usually great with kids and pretty smart, but they can be very hyperactive if they do not get enough exercise. Poodle: Believe it or not, the Poodle is extremely smart and has a great temperament. Plus, you have a size choice – toy, miniature, or standard. Regular grooming is necessary. Bichon Frise: This little cotton ball of a dog loves to play, but is not usually too hyper. It is also a small dog, which is perfect for your little humans. Regular grooming is necessary. Beagle: These dogs are friendly, clever and not too big, making them very suitable for kids. Though some can be a bit high-strung, they typically respond very well to training. Cairn Terrier: These active little dogs seem to have a natural affinity for kids. They can keep up with them and tolerate just about anything but are still gentle. Collie and Shetland Sheepdog: These are both very calm, gentle and tolerant breeds that often do well with children of all ages and sizes - kind of like Lassie. German Shepherd Dog: This breed is extremely loyal and protective, but MUST be well-trained. The GSD does have a playful side, especially at younger ages. Mixed-breed dogs: Mutts are typically well-balanced and intelligent. Overall, they are truly amazing dogs! Plus, you can save a dog from life in a shelter. When it is time to look for a dog, try visiting local rescue groups. Ask about dogs that have been in foster care. Their foster "parents" know and love them. Since they want the dogs to go to the right homes, they tend to be very honest about the dogs' personalities and temperaments. You can ask the rescue workers to guide you towards dogs that fit your kids' lifestyles. If you want a purebred dog, go to a reputable breed-specific rescue. Otherwise, you can go to a general rescue group with a good reputation. If you choose to get a purebred dog from a breeder, thoroughly research the reputations of multiple breeders. Ask for references and talk to fellow dog lovers in your community. Your vet may also be able to advise you. 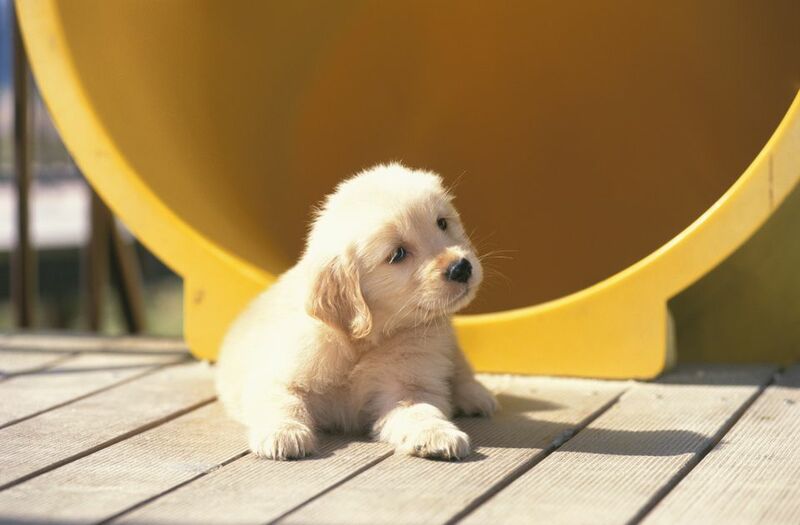 Once you choose a breeder, spend a lot of time talking about the temperament and socialization history of the pups. An experienced, responsible breeder will know the pups and parents well and share information freely. Congratulations, you have found a new dog for your family. Having a dog is a wonderful way to enrich your child’s development and create beautiful memories to be treasured for years to come. The bond between dogs and kids can be magical. Remember, though - your work is not done. In fact, it will never be. Training your dog and your children together is a life-long project. Responsible dog ownership goes hand-in-hand with responsible parenting. Good luck, and enjoy!